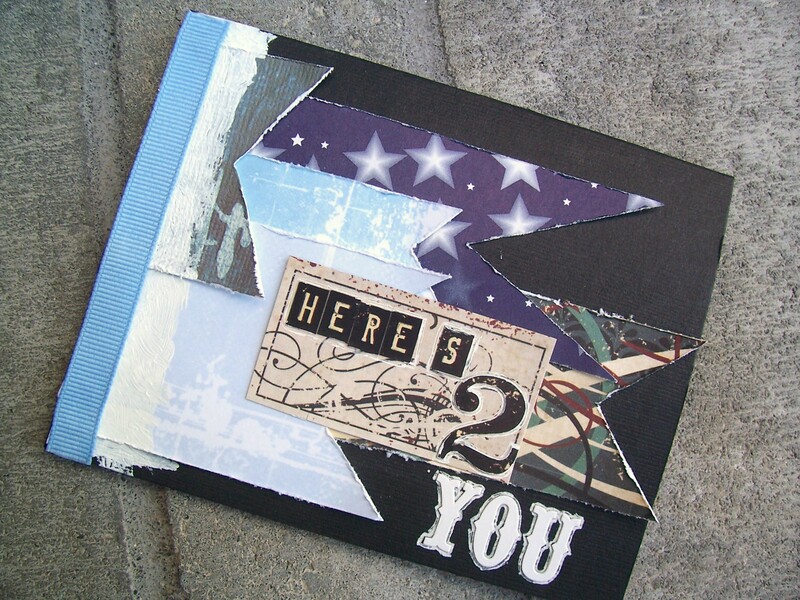 that I made for the Punky Scraps August Challenge, which included a color combo and a mood board. 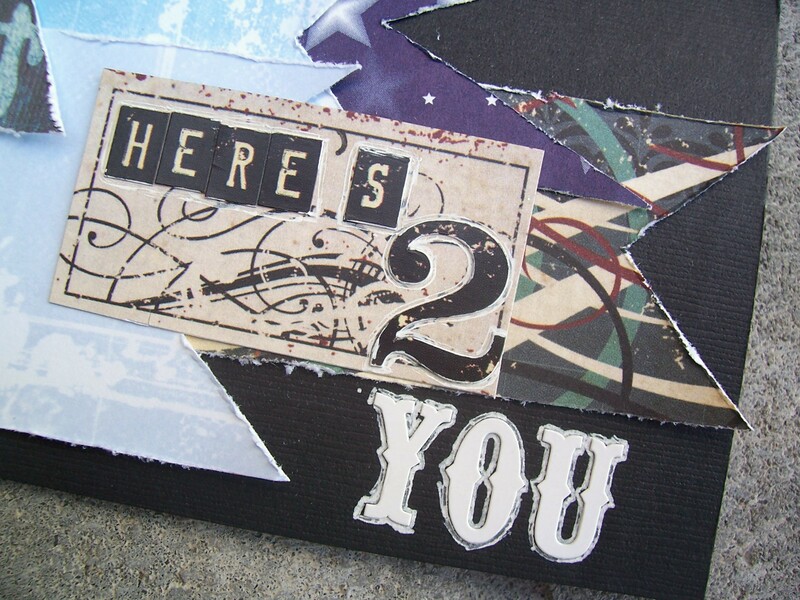 This challenge also came with a twist – use chipboard! 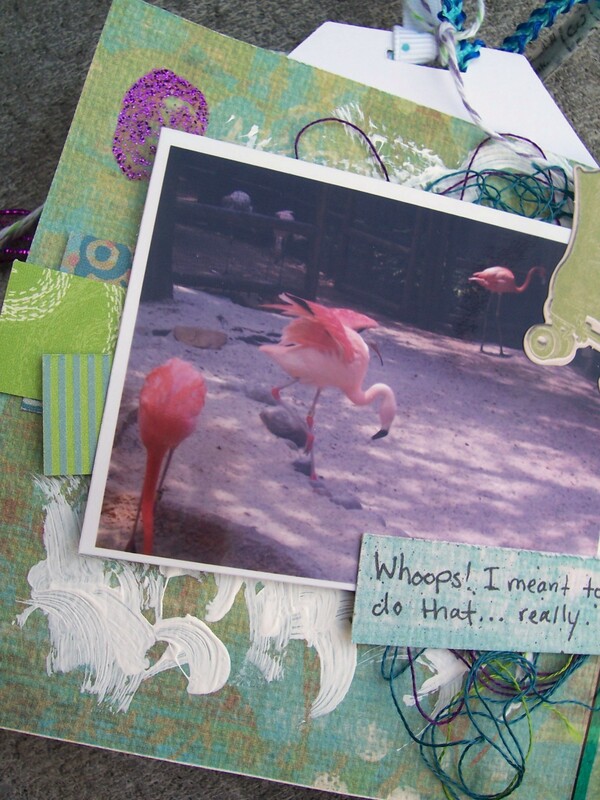 Now my aunt LOVES flamingos (no, she doesn’t have the one on her lawn and no, she’s doesn’t live in the South.) So hubby and I have gone to a few zoos, some more than once. I got into the habit of taking a photo or two of any flamingos we saw. So when I saw the colors, I immediately thought of a mini album of the photos I’ve taken. Here’s where things get interesting…I’m fairly certain I’ve taken more than the four photos shown here. However, being that a lot of hubby and I’s stuff is packed up, including most of our hard copy photos, I could only find four. But, no matter! I grabbed stuff from my stash in the color combo, and also went along with the mood board. To make the album, which is about 4″ square, I folded my patterned paper and used my trimmer to make the two page layout base. 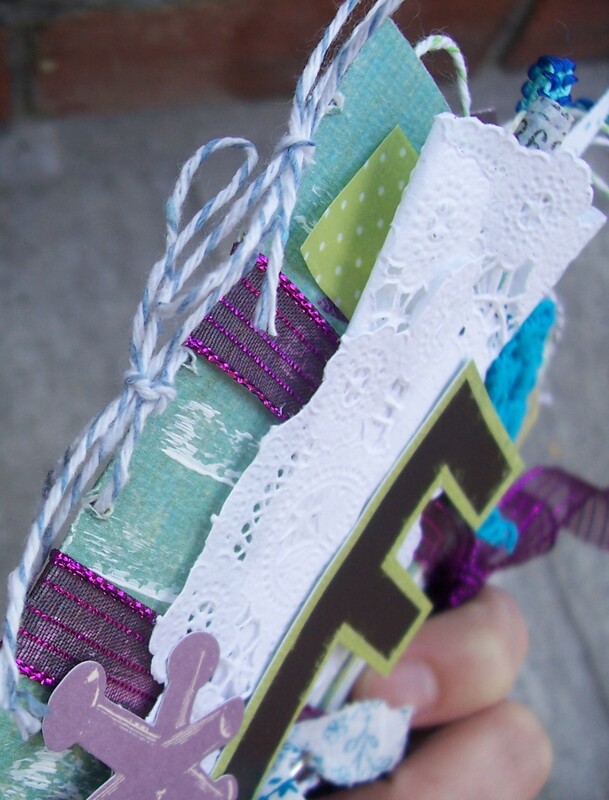 Folded them in half, applied gesso and purple glitter glue in different patterns and spots, the used my paper piercer and a needle threader to poke 3 sets of holes and thread baker’s twine through. 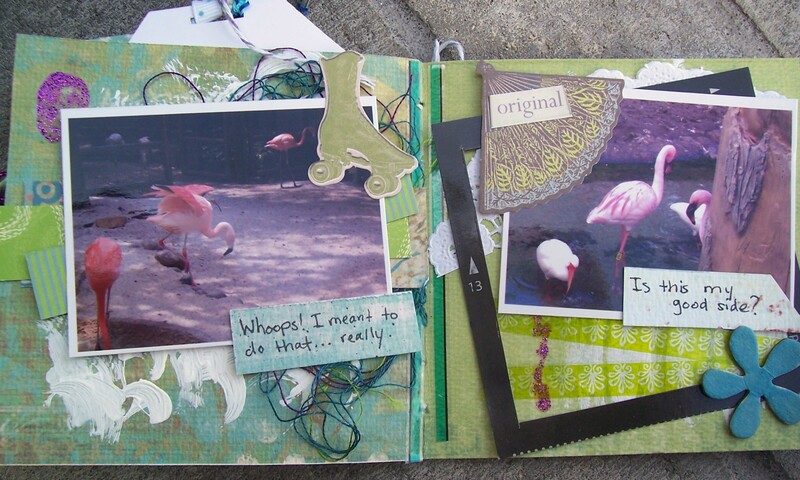 I also added a Hambly clear border sticker to random sides of the page break for another accent (inspired by this album made by Riikka). 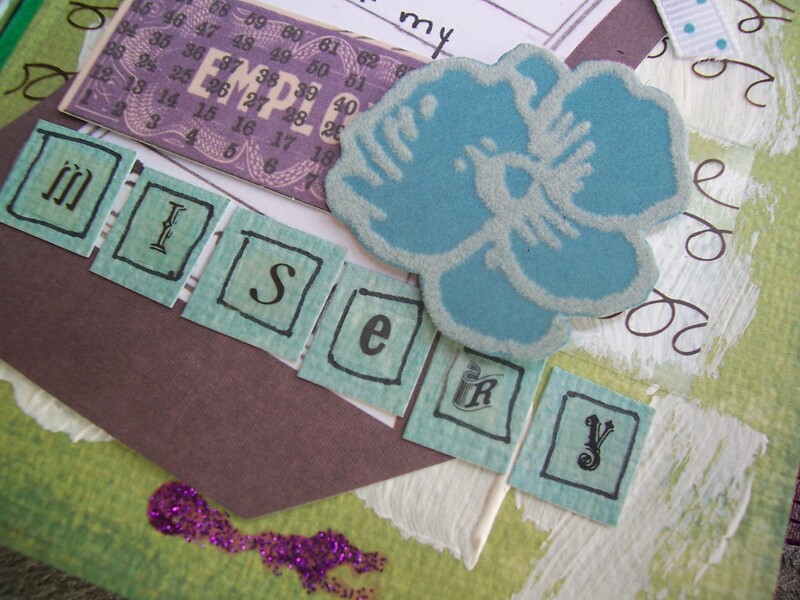 alpha stickers, pieces I cut from a teal knit doily (it’s peeking out from the left side of the photo)…. tags, a photo frame sticker, and embroidery thread, (that’s a raw chipboard flower that I colored with craft marker in the lower right corner), part of a fabric swatch (on the cover), a metal American Crafts button (also on the cover), and a paper doily. I really loved making this album! Hope my aunt likes it just as much! …in the form of a card that I recently added to my shop. 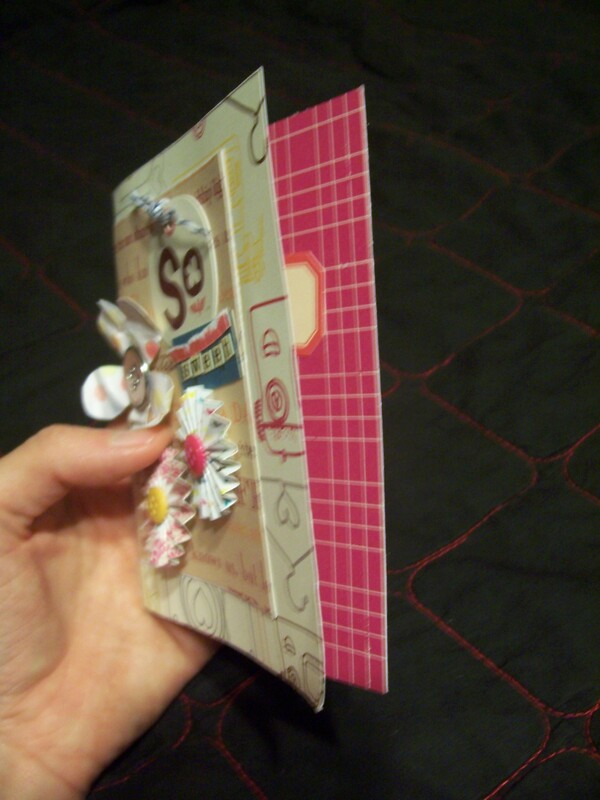 I saw this lovely card made by an awesome person by the name of Kasia on her blog worQshop, and I absolutely adore it! You can say I was inspired *wink* to make one of my own. This card is for sale in my Etsy shop! 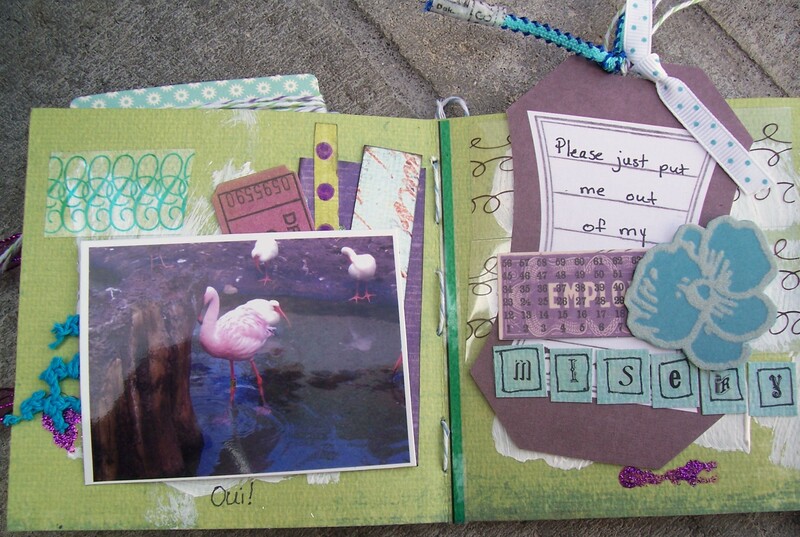 And thank you, Kasia, for one again sharing a great project with us. And it’s time to share because it’s been way too long! So I’m adding more cards to my Etsy shop, plus I found a way to get some envelopes, so all my cards will come with envelopes now. So I actually made these a few weeks ago. Little guy was in his school’s summer program (a good thing), and I thought, I’m making these cards, why not do so for his teachers and such at school! 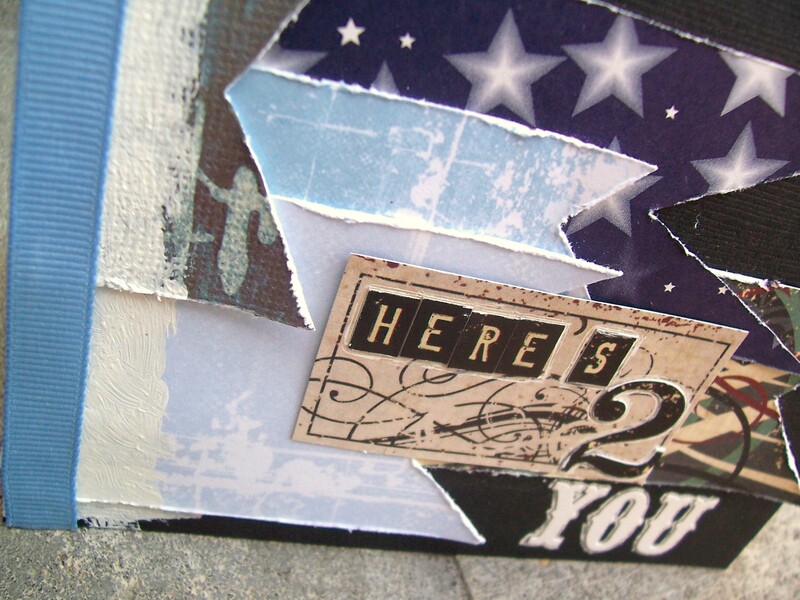 So I made two cards with patterned paper from an old line from Simple Stories called Destinations. It’s travel-themed, and thought it would work very well for his bus driver and matron. As you can see, even though this is an older line, the principles remain the same. 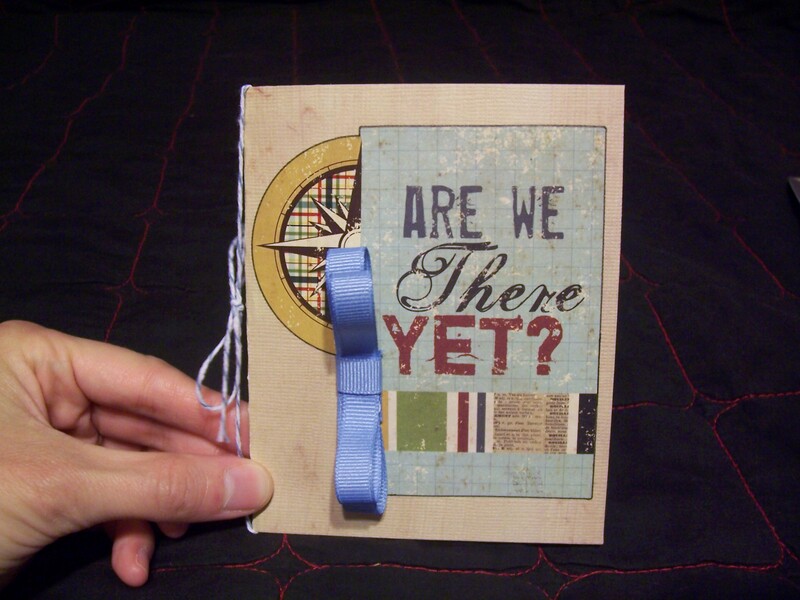 Everything coordinates well, and there are cardstock die-cut sheets that are already sized to make creating really easy. So at my son’s school, he has a teacher and a few teacher’s aides. I decided to do one card for all of them. For this one I combined a few different lines as well as stash stuff. So this card really came out different than I planned, but I really like it. 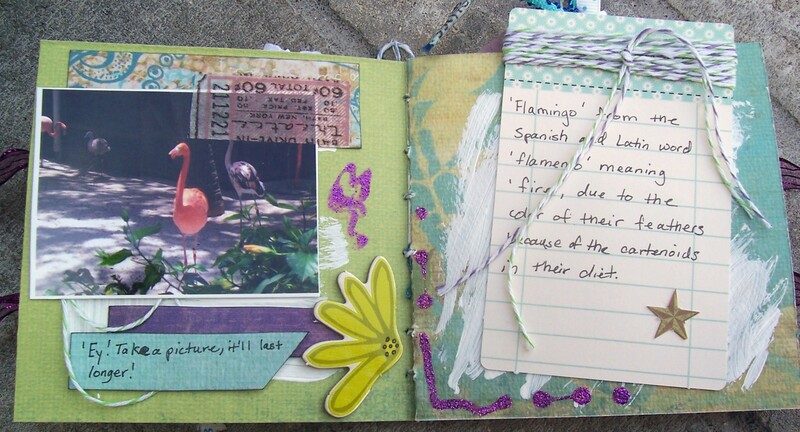 The main paper is Amy Tangerine, along with the two bottom flowers. 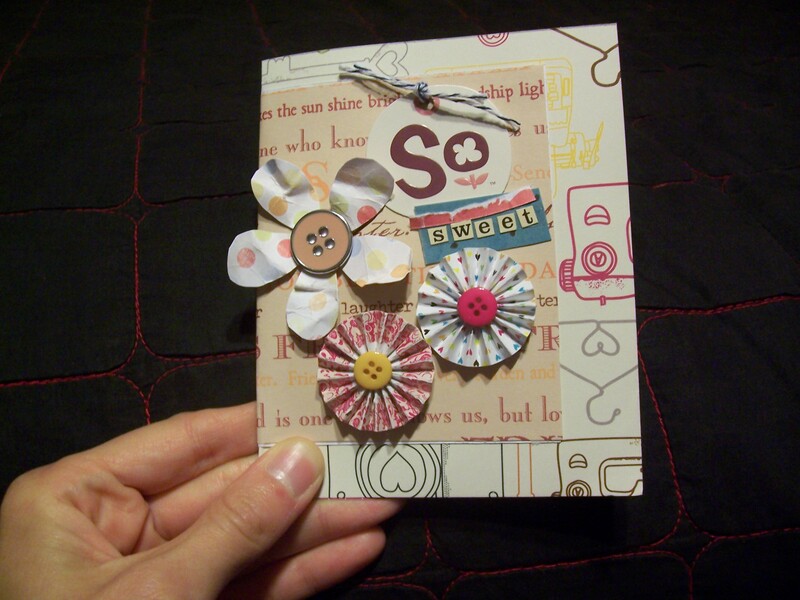 The other flower is cut from We R Memory Keepers WhiteOut collection with an American Crafts button. I used a clothing tag (yes, I keep and use them!) 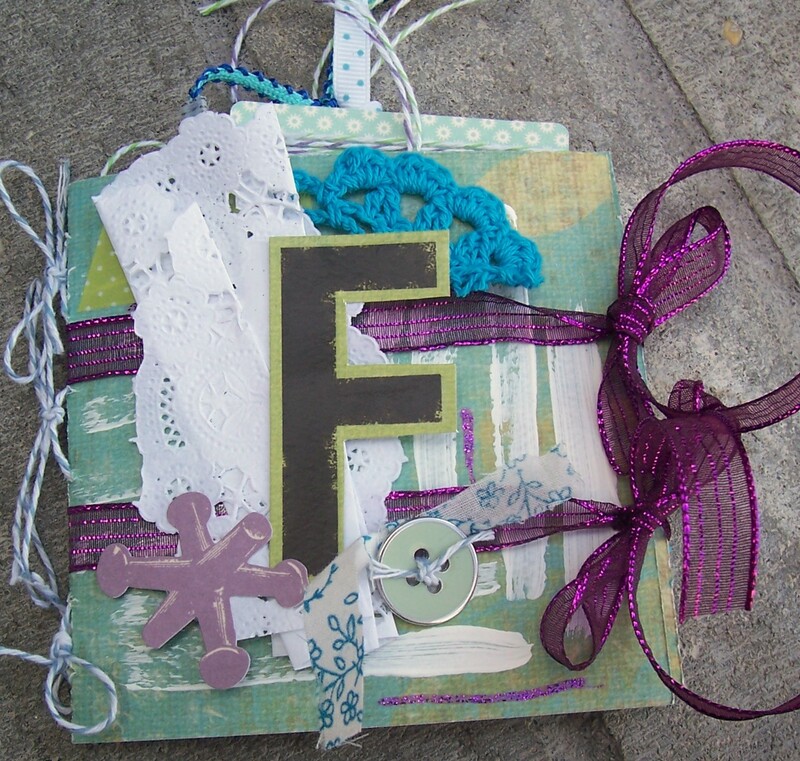 with some baker’s twine, a couple little scraps I had lying around, and letter stickers. Now the inside presented a slight challenge. The opposite side of the paper is a pink and white lined pattern, as you can see in the photo. The pink was really dark, and wasn’t sure the writing would be legible. So….I went to another lovely Memory Works goody. Once all the Express Kit subscriptions are filled each month, the rest are available for sale. I grabbed two die-cut journaling stickers, and added the message on the stickers! I won’t be able to speak with the driver or matron, so I can only hope they liked the cards. 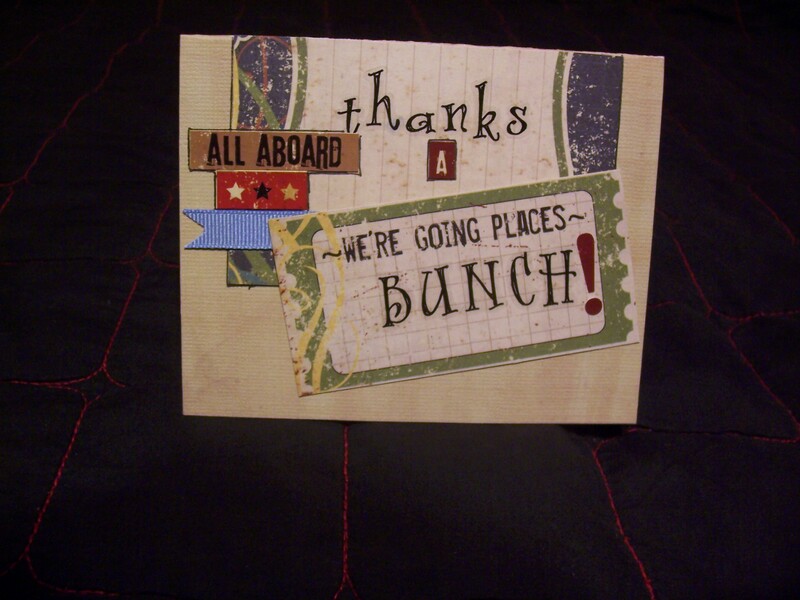 Next post will show cards that have been added to my Etsy shop. You can also see them in Pinterest and Twitter. Plus, next post will have a special discount available, so don’t miss it!